The Perth Brain Centre, established in 2007, has been helping people with ADHD and Learning Problems, Anxiety, Autism, Depression, Chronic Pain and Migraine for more than a decade. 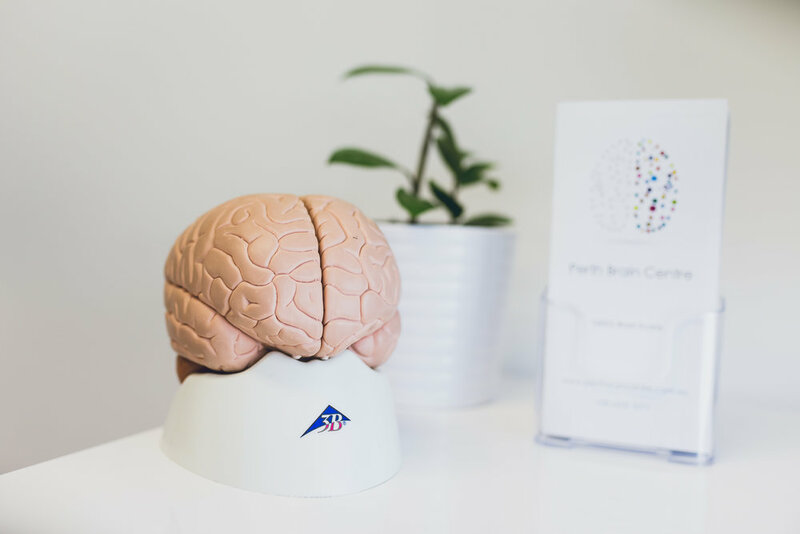 We use QEEG Brain Imaging to direct effective treatments and natural ways to help the brain by utilising the brain's natural ability to change known as "Neuroplasticity". Our multi-disciplinary team of healthcare professionals have years of experience working with people of all ages using the latest brain-based therapies. So, take a few minutes to discover how we can help you and you family or someone you know. Effective and evidence-based treatment for ADHD and Learning Disorders for families looking for an alternative to medication. Brain-based and drug-free therapies that can help people with Autism Spectrum Disorders. Effective help for people with anxiety who want an alternative to medication. The latest brain-based and drug-free treatments to help treat chronic pain. Evidence-based drug-free treatment and advice to help relieve depression. Innovative, drug-free and effective treatment for people looking for long-term relief from migraine headaches. Improve performance in the boardroom and sports-field using cutting-edge assessments and brain-boosting technologies.